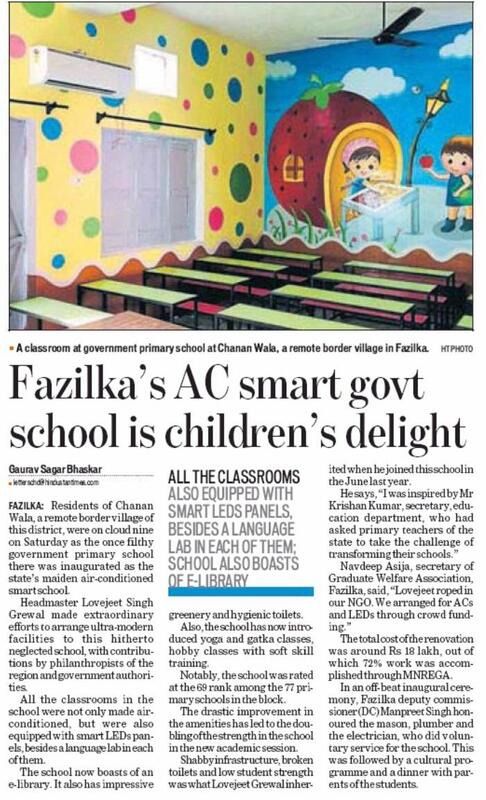 FAZILKA: Residents of Chanan Wala, a remote border village of this district, were on cloud nine on Saturday as the once filthy government primary school there was inaugurated as the state's maiden air-conditioned smart school. 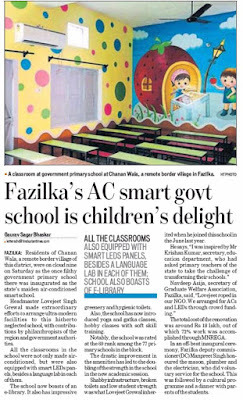 Headmaster Lovejeet Singh Grewal made extraordinary efforts to arrange ultra-modern facilities to this hitherto neglected school, with contributions by philanthropists of the region and government authorities. 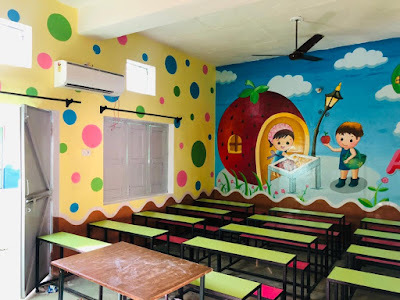 All the classrooms in the school were not only made airconditioned but were also equipped with smart LEDs panels, besides a language lab in each of them. The school now boasts of an e-library. It also has impressive greenery and hygienic toilets. Also, the school has now introduced yoga and gatka classes, hobby classes with soft skill training. Notably, the school was rated at the 69 rank among the 77 primary schools in the block. The drastic improvement in the amenities has led to the doubling of the strength in the school in the new academic session. Shabby infrastructure, broken toilets and low student strength was what Lovejeet Grewal inherited when he joined this school in the June last year. He says, "I was inspired by Mr Krishan Kumar, secretary, education department, who had asked primary teachers of the state to take the challenge of transforming their schools." 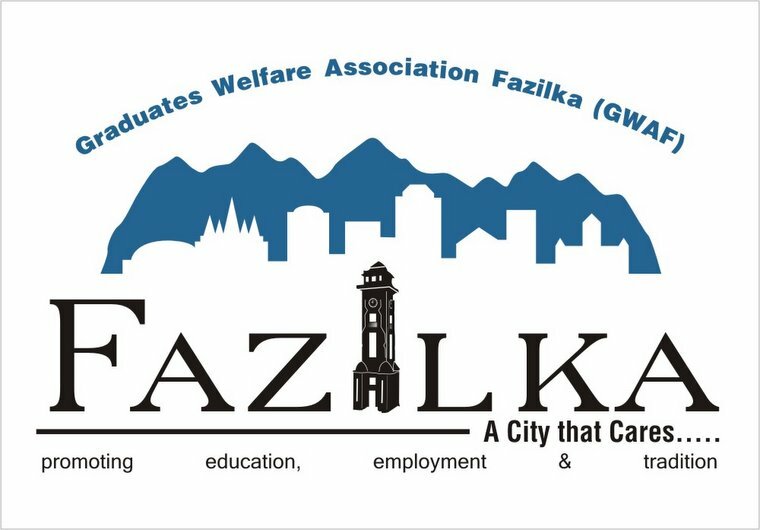 Navdeep Asija, secretary of Graduate Welfare Association, Fazilka, said, "Lovejeet roped in our NGO. We arranged for ACs and LEDs through crowd funding." The total cost of the renovation was around Rs 18 lakh, out of which 72% work was accomplished through MNREGA. In an off-beat inaugural ceremony, Fazilka deputy commissioner (DC) Manpreet Singh honoured the mason, plumber and the electrician, who did voluntary service for the school. This was followed by a cultural programme and a dinner with parents of the students.